Brown rice miso is a type of rice miso that is made from brown rice. Due to the natural food movement, brown rice miso is more popular overseas. Since the rice used in brown rice miso still contains the bran, this miso has a higher nutritional value and is much healthier than regular rice miso. Since rice miso contains 2-3 times more fat, fiber, and ash than other rice Misos, it helps the body function better. The taste of the brown rice miso is also deeper. 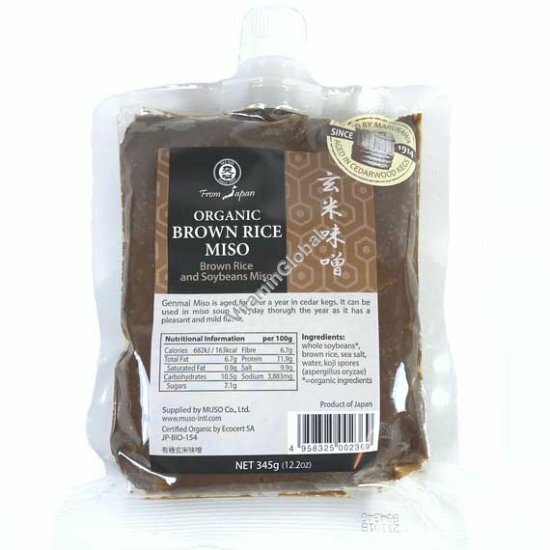 As the health benefits become known, it is expected that brown rice miso will also gain in popularity in the Japanese market as well as the overseas market. Ingredients: organic whole soybeans, brown rice, sea salt, water, koji spores.